The Winner Takes It All: Do contests with one big prize motivate your customers? Many of these competitions have ‘One Big Fat Prize’, in other words the kind of headline grabbing prize that makes you go ‘wow’. That could be an all-expenses paid trip to the Caribbean, a make-over for your home from a leading designer or even a Breville Snack and Sandwich Maker! OK, we are joking about the sandwich maker. But you get the picture. One person gets its all. The real question is do these ‘winner takes all’ prizes really motivate you to take part? 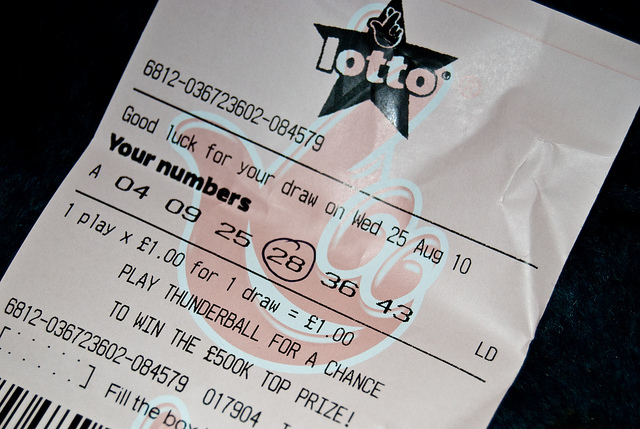 Do you work out the maths in your head and realise your chances of winning are infinitely slim? Do you think you are that unlucky guy or girl that is bound to always fall just one place short of that prize you dreamed of? After all, we have all seen that housewife from Milton Keynes appearing on Day Time TV who does nothing but win competition after competition. How can you hope to compete with a semi-professional like her? Oh, and don’t pretend you’ve never watched Day Time TV :). On a more serious note, prizes can cost a lot of money, particularly those eye-catching trips to the Caribbean. Clearly, companies want people to engage in the competition and take some action that generates word of mouth or some other positive side effect. But what if the chances of winning that one big prize seems too remote such that instead of motivating your potential customers, it has the opposite effect. What if your target customers fail to engage leaving the field free for that housewife from Milton Keynes again? The answer is clearly to design prizes that engage the maximum number of potential customers. Maybe you could give everyone a prize? But that does sound a bit like some bizarre social experiment from Sweden in the 70s you once read about. The truth is that a prize that you don’t have to win doesn’t feel much like a prize. You haven’t earned it. Those of us old enough to remember buying comics will remember those editions where ‘everyone wins a prize’. It always turned out to be some bit of cheap plastic from China that was broken and discarded within hours. Also we are suspicious of prizes you can ‘win’ without doing anything. A free prize just sounds a little too much like those ‘weekends in Spain’ that you would win based on your postcode, to be invited for two days hard selling for a time share in Magaluf. Assuming we don’t want to give everyone a prize then the question is whether one big prize or lots of smaller prizes is more likely to motivate participation. Research by the Exeter University (1) found that, rather counter intuitively, we are more likely to spend more time chasing a big prize we have little chance of winning as opposed to a smaller prize that is more attainable. More specifically they found that ‘deterministic winner-take-all contests’ induced more effort from participants than lotteries or proportional-prize contests in which rewards are shared in proportion to performance. A more nuanced but more dated research paper looked at sweepstakes and lotteries (3) and found that the choice or prize should be based on whether the company is looking to attract switchers or target current customers and also according to how risk adverse that population is. It found that you need to offer more smaller prizes to tempt new customers and particularly if they are risk adverse, whereas existing customers that are risk neutral are more likely to be tempted by one big prize. Well we at Buyapowa think that companies should be free to try different types of prizes, to mix and match and test which types of prizes work best for the audience they are targeting. For that reason we created our ‘Multi-prize Leaderboard’ that allows a company to create as many prizes as it wants and stipulate that to win the prize the customer must either finish in a specific position in the Leaderboard or refer over a certain number of other Co-buyers. Gamification, along with dynamic pricing and co-creation, is one of the pillars of the Buyapowa social selling platform. That’s why we think that it’s so important to be able to get the right mix of prizes that both reward effort and achievement but also motivate participants to engage with a reasonable expectation of being able to win something. We would be happy to learn what you think?